March Melinda Elms from Oklahoma City, OK joined Dedra’s Team! Theresa Timms from Glenn Heights, TX joined Dedra’s Team! Rhonda Johnson from Ft Worth, TX joined Morgan Ervin’s Team! April Niki Hernandez from Arlington joined Dedra’s Team! Mary Kay Ash once said, “The most rewarding aspect of my life is to watch a woman come into our Company like a tight little rosebud and after six months of praise, encouragement and recognition by her recruiter and her Independent Sales Director, she blossoms into a poised, beautiful woman.” We are SO excited to work with and support our newest DDHU members! Welcome!! Welcome our HOT new Team Members for Dec. and Jan.
December Evy Lawrence from Del City, OK joined Dedra’s Team! Caryn Bennett from Ft Worth, TX joined Dedra’s Team! January Nancy Sirratt from Grand Prairie, TX joined Dedra’s Team! Mary Kay Ash once said, “The most rewarding aspect of my life is to watch a woman come into our Company like a tight little rosebud and after six months of praise, encouragement and recognition by her recruiter and her Independent Sales Director, she blossoms into a poised, beautiful woman.” We are SO excited to work with and support our newest DDHU members! Welcome!! October Deb Steele from Ft Worth, TX joined Dedra’s Team! Claudia Torres from Dallas, TX joined Dedra’s Team! Pamela Nunley from Omaha, TX joined Kema Stevens Team! Susan Hastings from Edmond, OK joined Dedra’s Team! 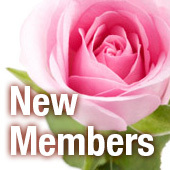 Mary Kay Ash once said, “The most rewarding aspect of my life is to watch a woman come into our Company like a tight little rosebud and after six months of praise, encouragement and recognition by her recruiter and her Independent Sales Director, she blossoms into a poised, beautiful woman.” We are SO excited to work with and support our newest DDHU members! Welcome!! Gwen Brooks from Arlington, TX joined Dedra’s Team! Heather Branam from Oklahoma City, Ok joined Dedra’s Team! Carol Hernandez from Lewisville, TX joined Dedra’s Team! Mary Kay Ash once said, “The most rewarding aspect of my life is to watch a woman come into our Company like a tight little rosebud and after six months of praise, encouragement and recognition by her recruiter and her Independent Sales Director, she blossoms into a poised, beautiful woman.” We are SO excited to work with and support our newest DDHU members! Welcome! !